Leoxicon: Conference fatigue or post-conference blues? Conference fatigue or post-conference blues? 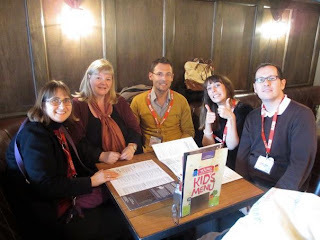 Yesterday I completed the online feedback questionnaire for the IATEFL 2013 conference, which took place earlier this month in Liverpool, and, inevitably, started thinking back to the conference. 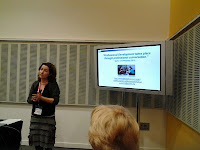 It was the fourth IATEFL conference I've attended - superbly organised as ever - and probably the most intense one. Whether it was the fact that my hotel was not so close to the venue or the number of sessions on offer every day or the number of sessions I wanted to go to every day – but at the end of the week I was absolutely exhausted. I don't know whether the new format – 30 minutes for talks, 45 minutes for workshops – is the way to go. I felt 30 minutes presentations (including mine) were somewhat rushed while 45-minute workshops didn't have anything workshop-y about them. I stupidly put myself down for a talk and had to cut my presentation by half from its original 60 minute length - as it was given at TESOL France 2012. To do so I had to get rid of all the interactive bits – not of the "talk to the person sitting next to you about what you had last night for dinner" variety but tasks where I ask participants to think of one-word equivalents for multi-part verbs or brainstorm the mistakes their learners make that may be caused by lexical voids (yes, I explain the term in my talk). But some, longer presentations I saw did not have any interaction with the audience and, in my opinion, did not merit the tag Workshop. Perhaps in future the organisers should make it clear - and be strict about – what constitutes a workshop. For example, this TESL Toronto programme makes a clear distinction between different types of sessions – scroll down to page 3. Penny Ur and Jeremy Harmer's double act at the pre-conference event (PCE) organised by TTED SIG restored my faith in PCEs. Although I couldn't imagine two speakers with such radically different presentation styles, Penny and Jeremy struck the right balance between the amount of input and "output" giving us, the participants, plenty of time to discuss their ideas in groups and feed our conclusions back to the audience. The British Council's forum on Continuous Professional Development (CPD) highlighting CPD activities in three different countries was logically organised and masterfully weaved into a coherent thread by Jane Cohen. Among other presentations by the British Council colleagues there were two presentations on using video: by Susanne Mordue and Sirin Soyoz who introduced lots of useful websites (still need to check out www.simpleenglishvideos.com and www.esl-lab.com/videoclips.htm) and Elana Boteach Salomon and Jonathan Rickard who shared lots of practical ideas - see the recording here. As usual, the conference wasn't without a share of disappointments - and I am not talking about a severe lack of catering points at the venue. There was one session held in the biggest auditorium (capacity: 850 people!) where the speaker, whose name I won't mention, rushed through her slides apologising all the while that she was running out of time and finished within 30 minutes instead of the allocated 45. 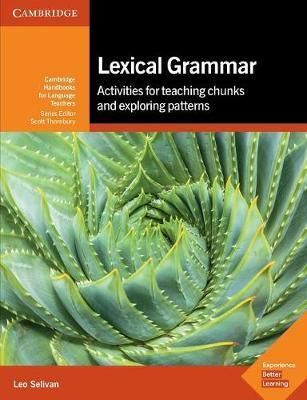 Constant references to the language learning experience of her four-year old grandson - an L1 speaker - in a presentation on L2 grammar learning, whose title didn't match the title in the programme, didn't help either. Am I a closeted dogmetician? - I tweeted from Willy Cardoso's talk. Willy addressed the issue of published ELT materials not reflecting the dynamic nature of the curriculum in a room with a heavy presence of the Dogme crowd. Unlike Willy's session, there were surprisingly no Dogmeticians in the audience at Nick Bilbrough's talk on working with emergent language in writing, which I also enjoyed. Otherwise there was clearly "the coursebook strikes back" feel this year with Hugh Dellar, Rachael Roberts and Herbert Puchta – all coursebook writers – arguing that teachers can focus on emergent language without necessarily chucking the coursebook out of the window. The Dogme vs coursebook stand-off culminated in a lively debate between Scott Thornbury and Catherine Walter which you can see here. I find that the more I go to IATEFL the more I benefit from networking and interaction with members of my Personal Learning Network (PLN) - teachers from all over the world - and the breaks between the sessions are never long enough to catch up with all my friends. Thank you all with whom I had a chance to interact - over lunch, drinks or at the karaoke night - for making the conference special. Brillian summary Leo and thanks for the very generous compliment about the CPD forum. I thought the 30-minute time slots were a disaster. There were not nearly enough true workshops and I didn't talk to anyone who came away with much to implement in their classes. Your presentation was great, as always, but there were few others of that quality. Easily the worst IATEFL I've been to. And they get worse every year. That's because they are going for quantity and there are no controls on quality. They make you write the abstract but they accept everybody anyway, and, it seems, without asking for revised abstracts or workshop descriptions. Lots of sessions did not really deliver what they said they would. This was an area of criticism I found too from hearing about the length of the sessions and quantity vs quality. Why not just vet them better? Thanks for your comment, Ken. I wouldn't say it was the worst I've been to and I can certainly understand their desire to accommodate as many papers as possible but it should not compromise the quality. I also agree with you about the lack of true workshops. I hear yours was great, as always :) - sorry I couldn't make it this time - and you got very favourable reviews. Great Summary and important points - hope some of the "top brass" at IATEFL will talke notice! Thanks for the shout out, Leo! I'd like to add that I got some great ideas from Paul Davis in his session "The company words keep: Practical exercises for lexical chunking" and enjoyed learning about how to use Springpad from Hakan Senturk in "Dogme 2.1: Using Springpad to create an online coursebook". John Field's presentation on "Listening tests and tasks versus listening in the real world" was excellent and gave me food for thought in how to better design listening tasks. Lastly, Jane Willis demonstrated that we cannot always predict what language our learners will use in TBL in her session on "From grammar point to task-based lesson". Thank you for the comment, Elana! Pleased to hear that the sessions you went to - were some of these my recommendations? 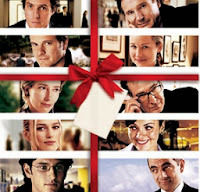 - lived up to your expectations. I really like how you categorise different types of sessions. I even shared it with ETAI here as something they can adopt too. 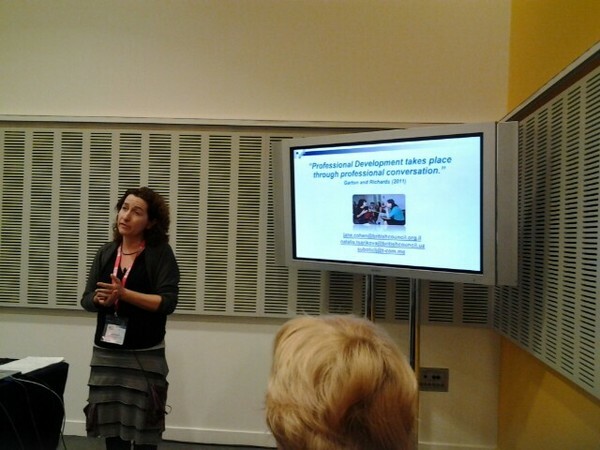 Unless I missed it, I cannot find a summary of the IATEFL Liverpool conference. I think it will be really helpful if a resource could be found that summarizes all the events from the pre-conference event through the meetings,workshops, post-conference speakers and attendees discussions. In this way students and teachers can access the latest thinking hot-off-the press by searching for their specific item. There are at least 3 links above to blogs with a lot of conference summaries. Otherwise, the IATEFL Liverpool Online website (http://iatefl.britishcouncil.org/2013/) has recordings of selected sessions, summaries by the roving reporters and other content.